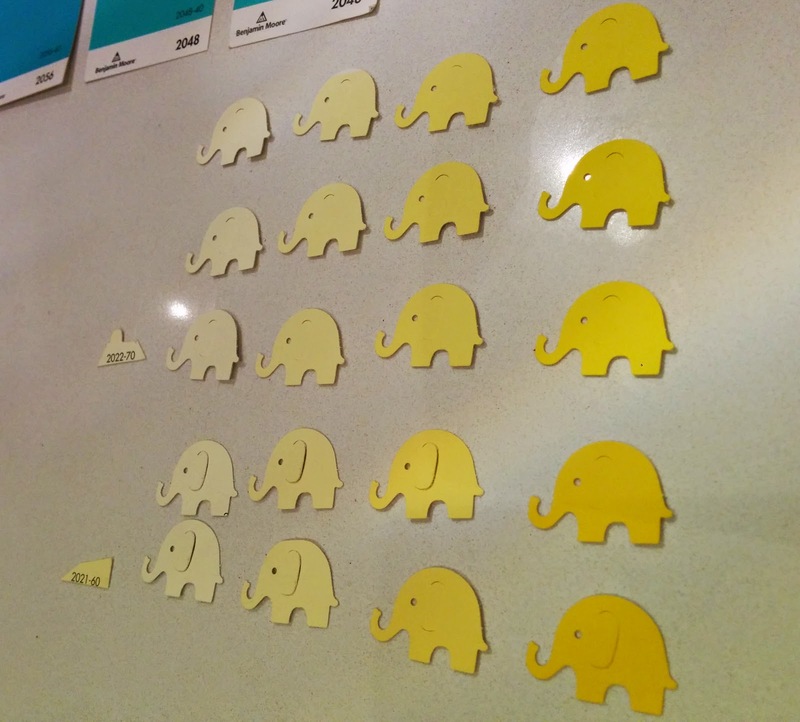 Lemon and Mint: Colourful Elephants using Paint Samples and Martha Stewart Punch - Sneak Preview of Baby Shower Favours and Thank You Cards! 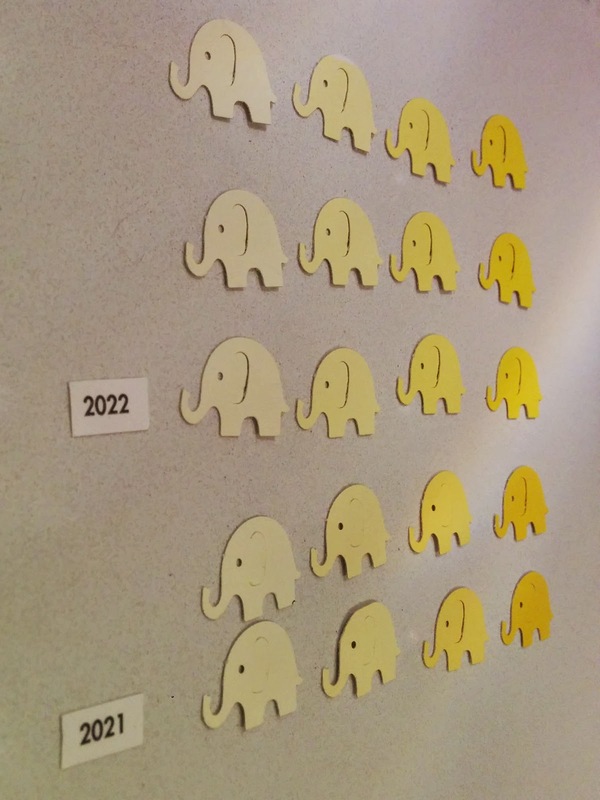 Colourful Elephants using Paint Samples and Martha Stewart Punch - Sneak Preview of Baby Shower Favours and Thank You Cards! 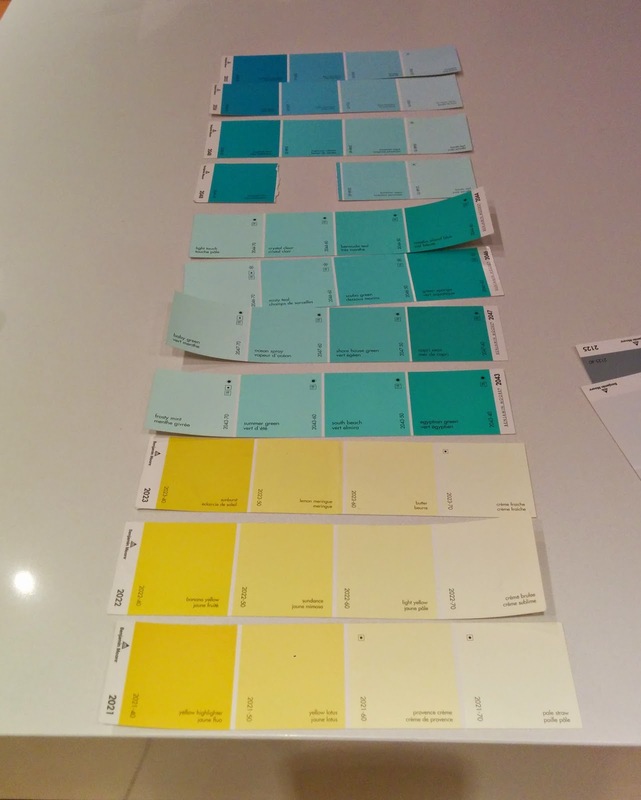 Rainbow of Benjamin Moore paint chips! 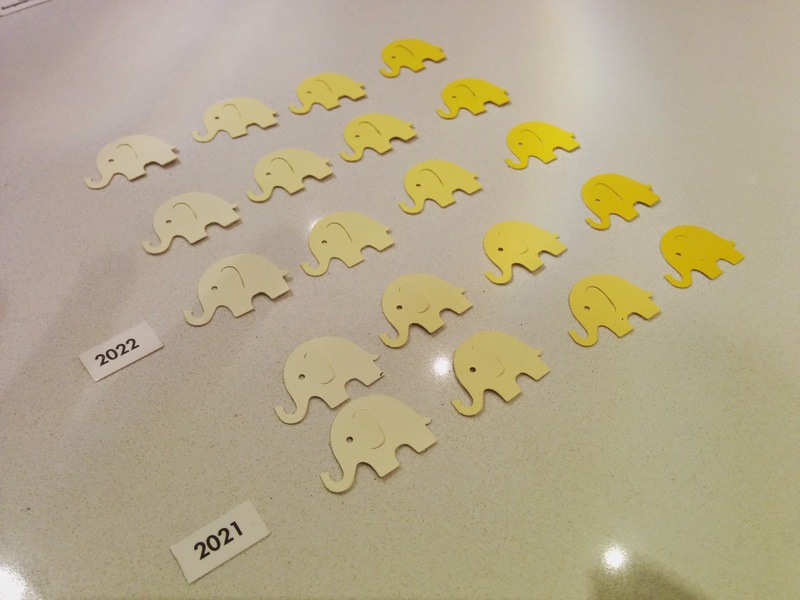 I started working on colourful gift tags to attach to our baby shower favours, but was really disappointed by the paper I had available at home. I was just about ready to head over to Michaels, when I discovered these colourful paint chips. We picked these up from Benjamin Moore to decide on the colour of the now painted turquoise dresser, and held onto them as we haven't decided if we'll be painting the nursery yet. I gave using these a try with my new Martha Stewart Crafts elephant punch. If elephants aren't your style, they have an owl, butterfly, ladybug and all sorts of other cute shapes. 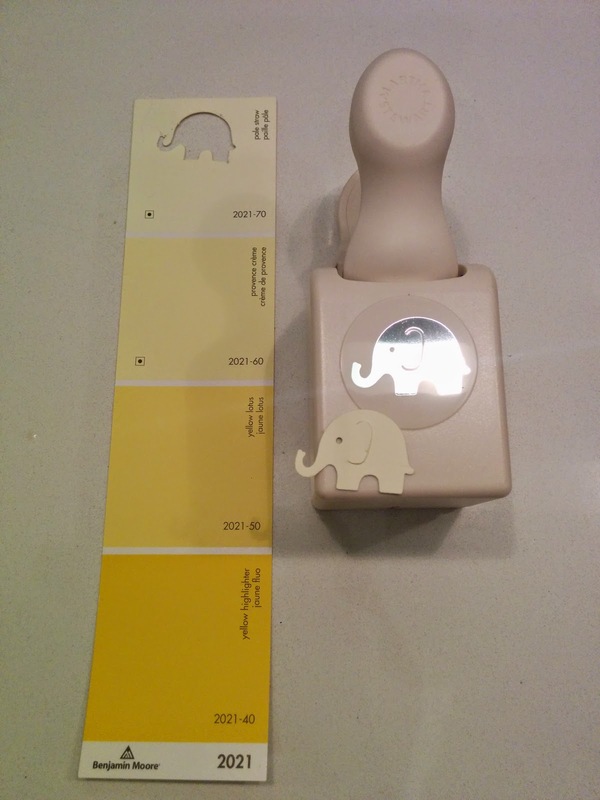 From each colour, I was able to punch two to three elephants depending on the size of the colour name on the paint sample. And wow, am I ever after happy with the results! These will definitely get used for the baby shower favours and thank you cards, but there's a good chance I'll be using these for some nursery art as well. How cute is the gradient of colour! These are so cute. I am taking this idea for my sister’s baby shower. I can use blue and pink colors for this because, it is also a gender reveal party. I am happy that I managed to book one of her favorite Los Angeles venues for the baby shower.